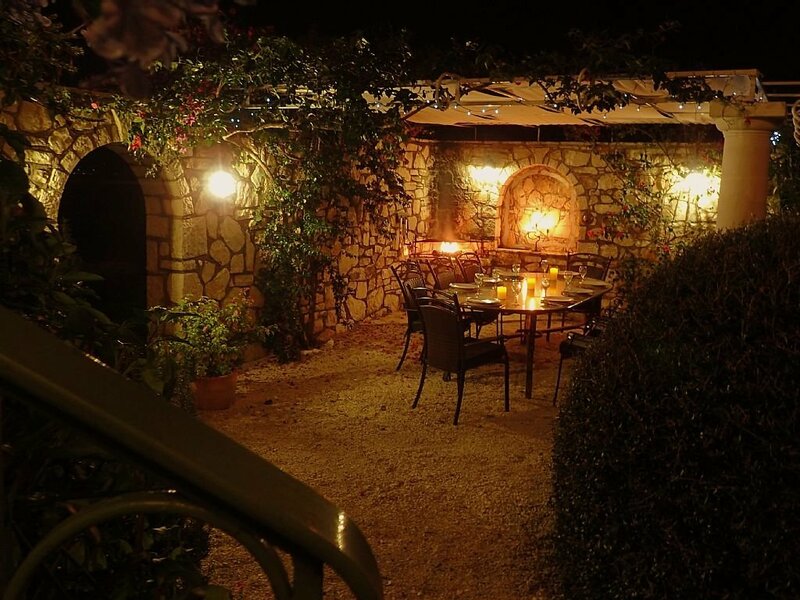 Outside eating: Villa Loukia's own 'taverna'. My favourite place. 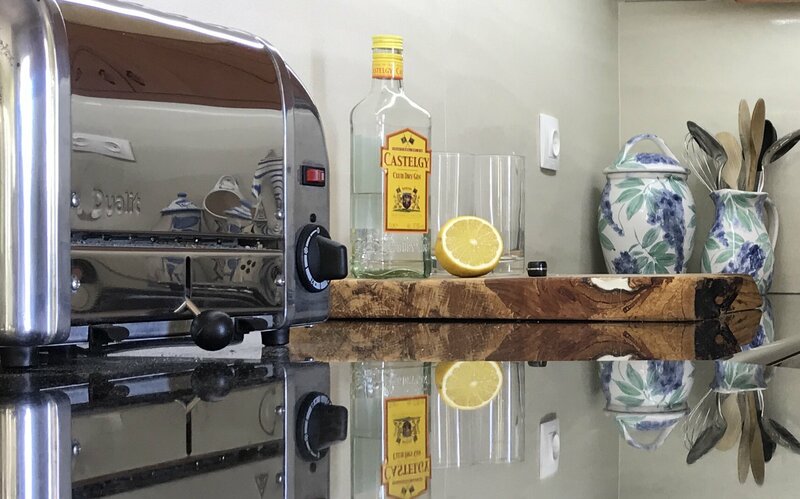 The Kitchen - clean, new and fresh: G&T anyone? 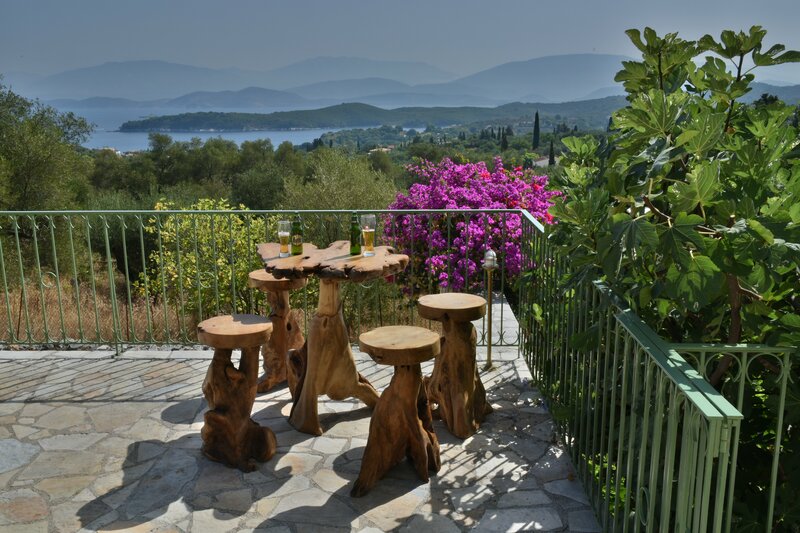 Early Morning View in October: Views, comfortable seating - Villa Loukia has it all! Table Tennis: Bats and balls included. 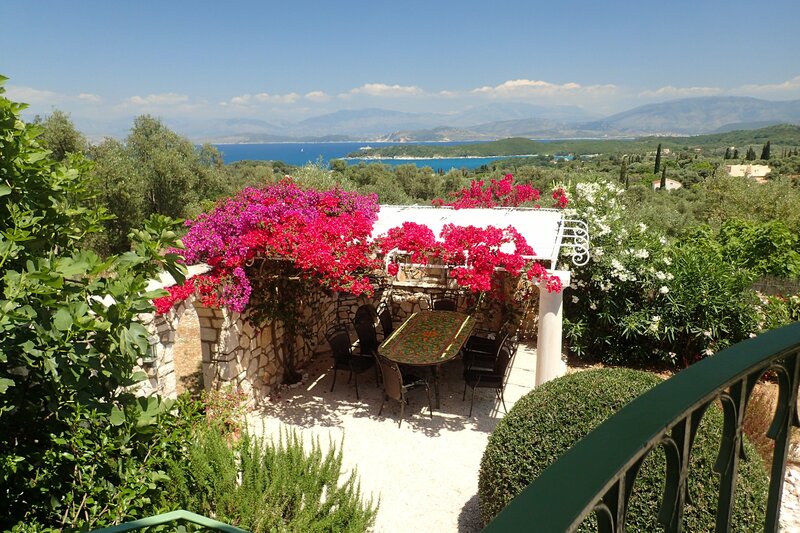 I am so pleased that you are looking at our website for our Corfu 'home' - Villa Loukia. 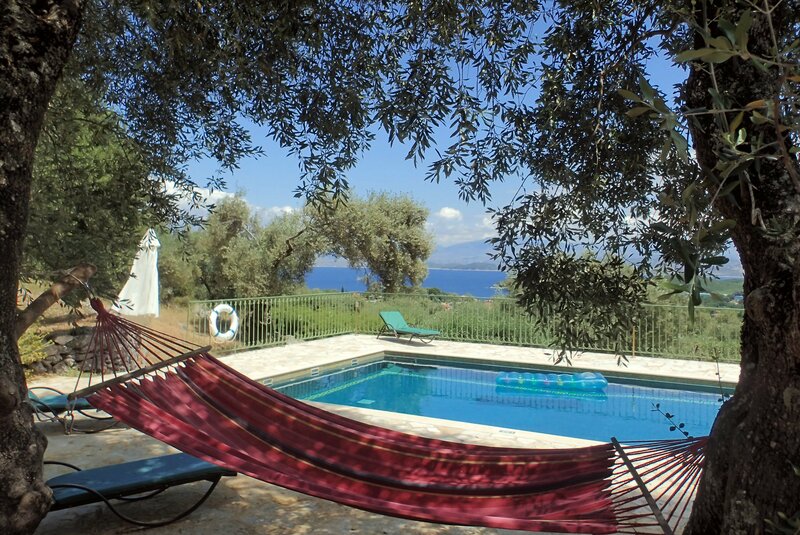 Villa Loukia is located on the NE coast of Corfu in a hamlet called Kelia, above the fishing port of Kassiopi. 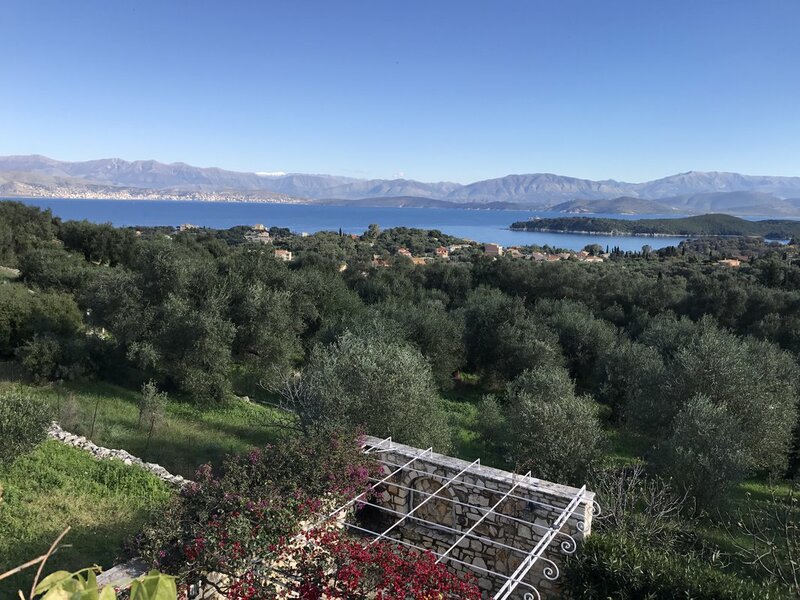 It has an enviable location on a quiet hillside covered in olive groves, but with the advantage of still being within walking distance of Kassiopi, for those seeking the convenience of being able to walk to restaurants at night. There are no close neighbours and the property is not over-looked. 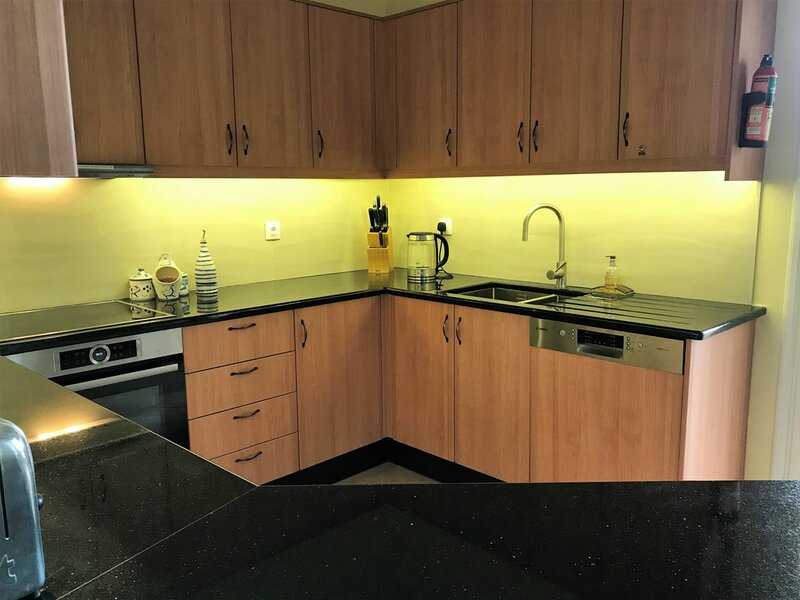 There are 3 bedrooms all with en-suite bathrooms, a large indoor living space, lots of different outdoor living areas and a 10 m x 5 m heated swimming pool. 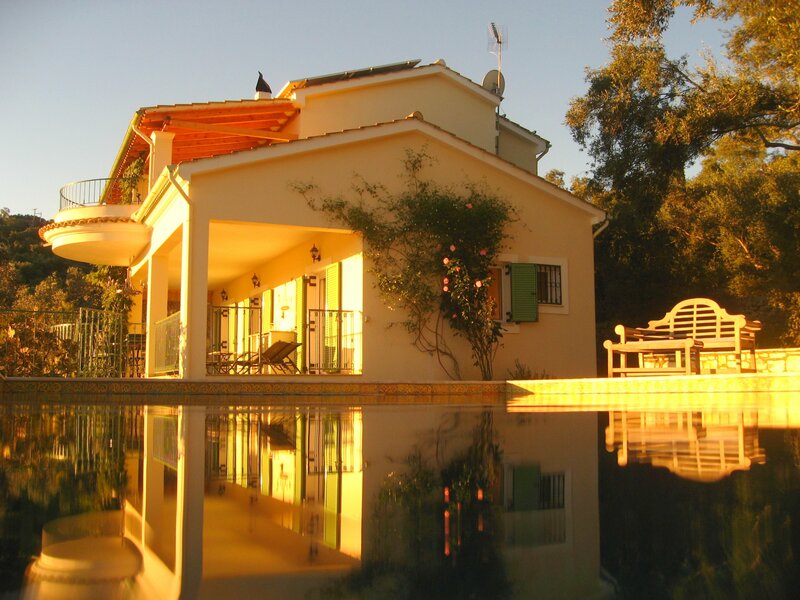 The villa provides the perfect location for a family or romantic holiday for 2 to 8 people. 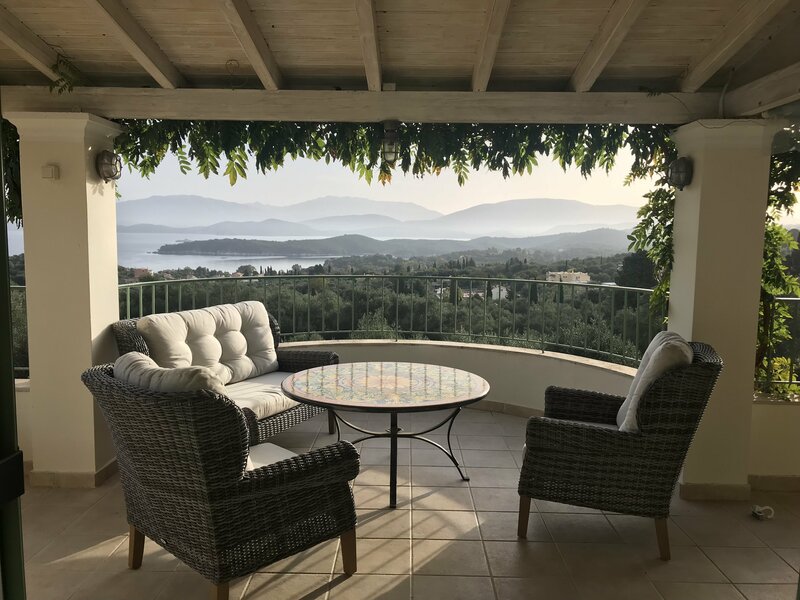 Villa Loukia is extremely well maintained by our team from Prestige Villas and by my husband, Nick, and me, Lucy, which hopefully will be obvious as you browse our galleries. 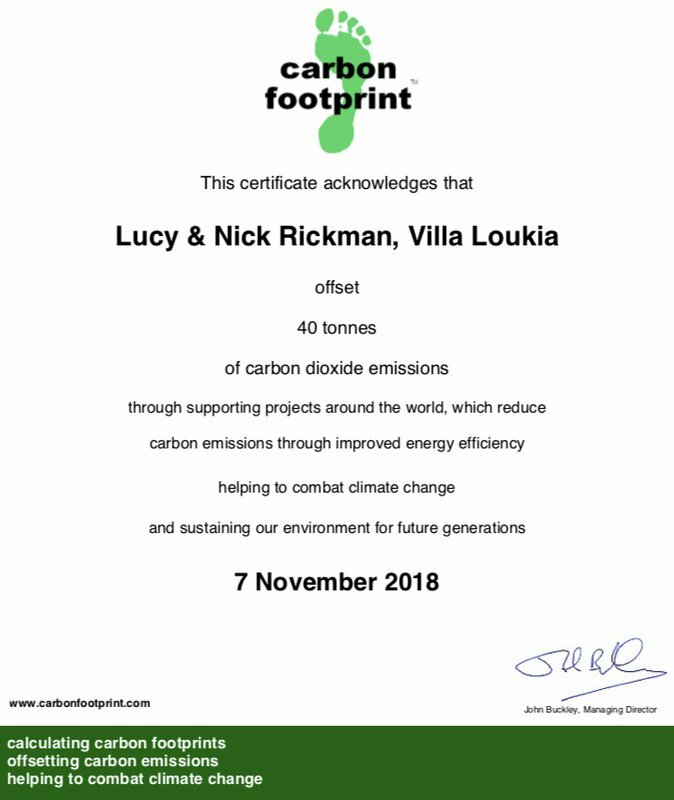 From 2018 we have pledged to make Villa Loukia carbon neutral - take a look at my blog for details. Enjoy! 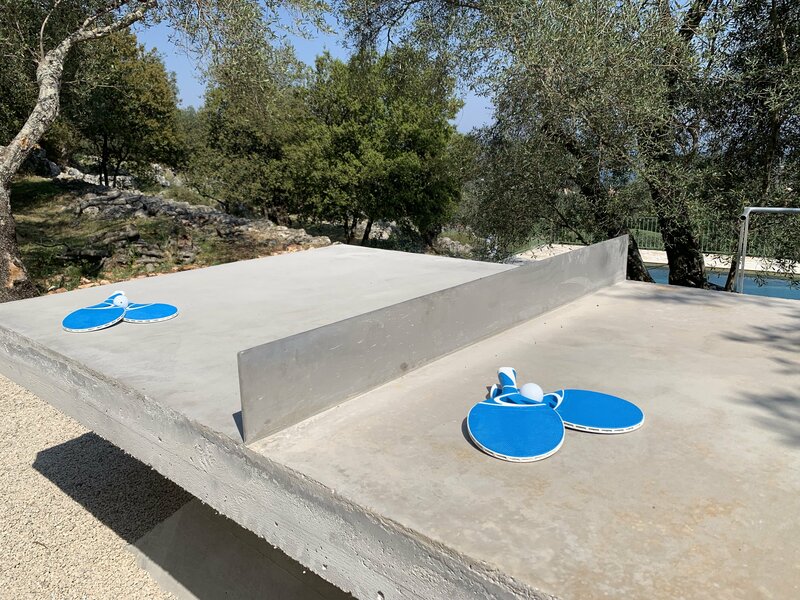 For 2019 we have created a futuristic table tennis table in its own court, nestled into the olive grove above the pool. Perfect way to get some exercise after a day lounging by the pool. We think this is going to be a very popular feature. Bats and balls are provided. Bookings coming thick and fast! 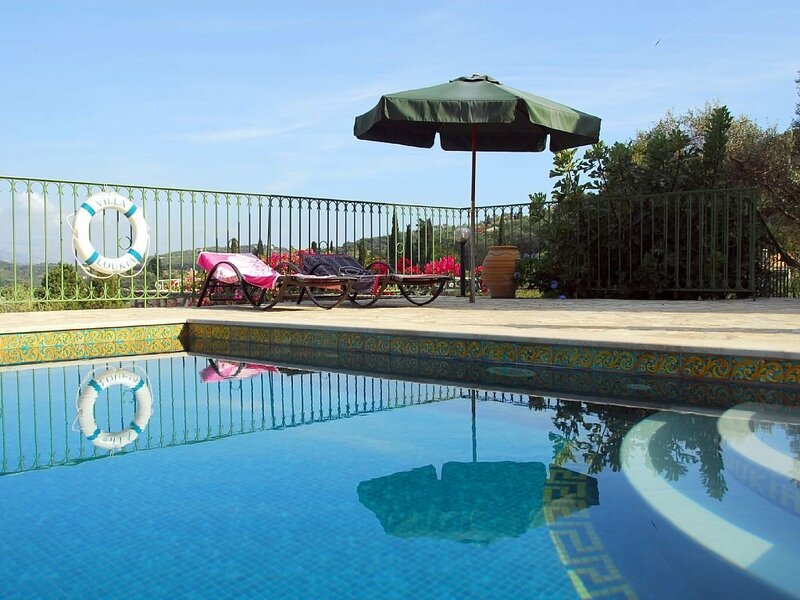 We are once again looking forward to a busy season at Villa Loukia. 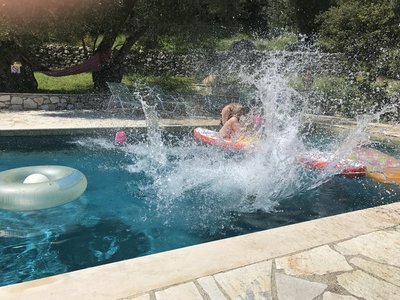 Bookings for 2019 are coming in fast but there are a few very nice weeks left available, so do get in there quickly. I have also just taken my first booking for 2020. Without a doubt it is worth booking early, especially if you are wanting a particular date for that special occasion. 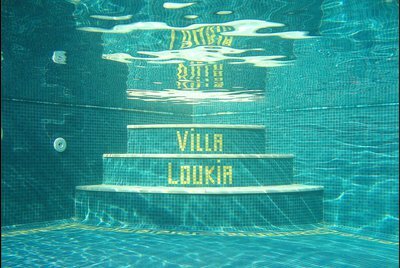 Our goal is to make Villa Loukia carbon neutral and we are committed to reducing climate change. Carbon offsetting is used to balance out our emissions by helping to pay for emission savings in other parts of the world. 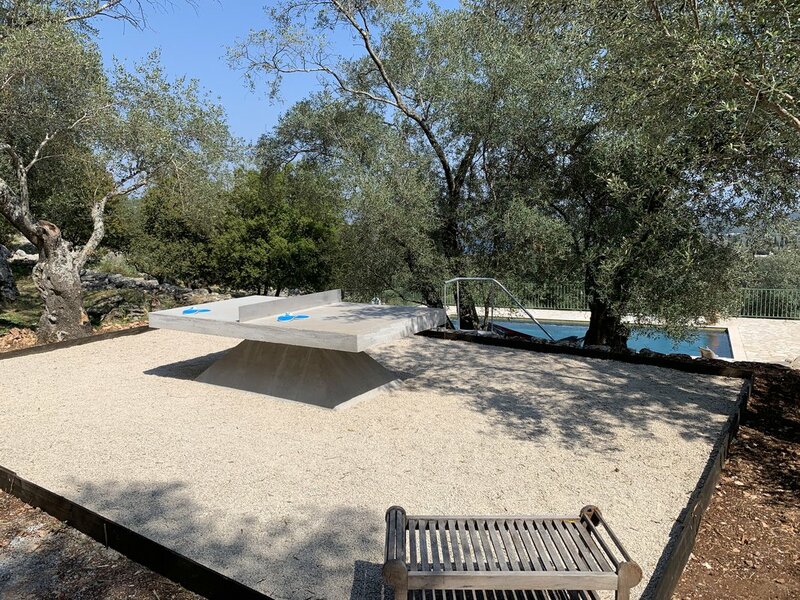 We pledge to offset each year the carbon connected to the use of Villa Loukia as a holiday rental. 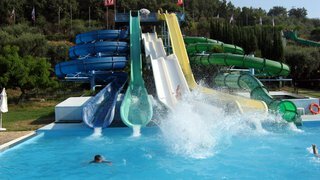 This includes electricity, car usage by guests and staff, laundry and ALL guest flights. 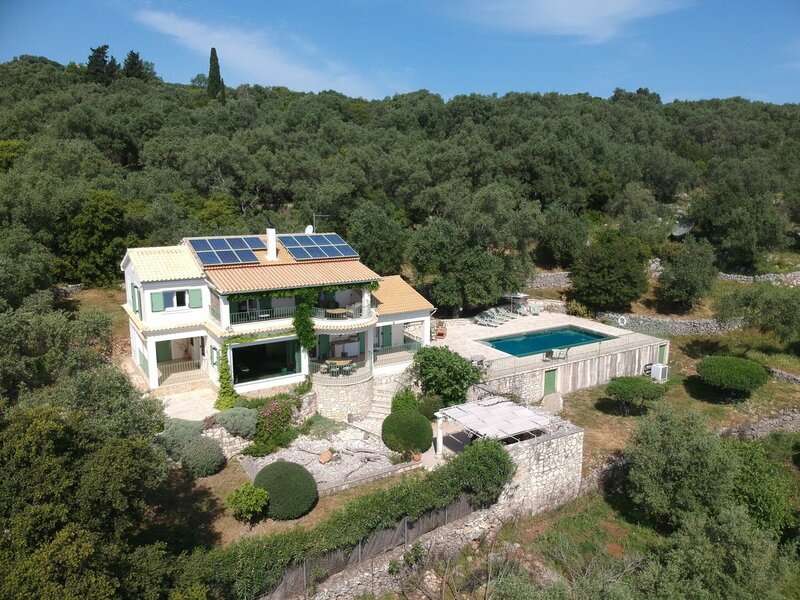 We are really pleased that in 2018 Villa Loukia produced 80% of the electricity used (including air conditioning and pool heating) from the Photovoltaic Panel System on the roof and the Solar Water System. In total for 2018, we have calculated that Villa Loukia used some 38.4 tonnes of carbon. We have rounded this up to 40 tonnes and this has been offset with a donation to carbonfootprint.com and their Community Projects Portfolio in Developing Countries. The pledge we make is personal and on behalf of our Grandaughter, Imogen, so that she and her descendants can have a future. 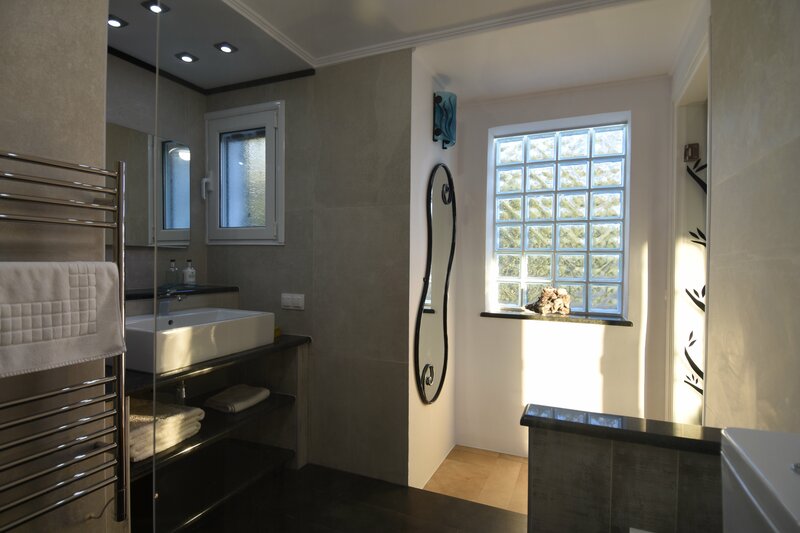 It does not come at any financial cost to our guests. 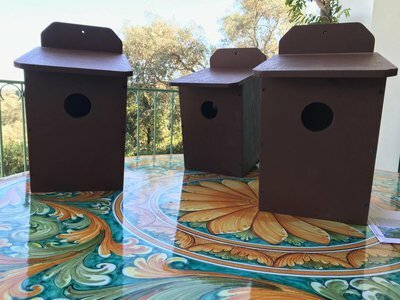 We have just installed 3 bird boxes around the olive grove at Villa Loukia, in the hope that we might encourage some Scops Owls to next there on their return to the island. The Scops Owl is the one you will hear frequently when sitting up on the terrace at Villa Loukia and it has a very distinctive whistle. Although we have been listening to them for years, we have never actually seen one. They are actually very small! Fingers firmly crossed. There are some big changes happening on Corfu regarding rubbish. 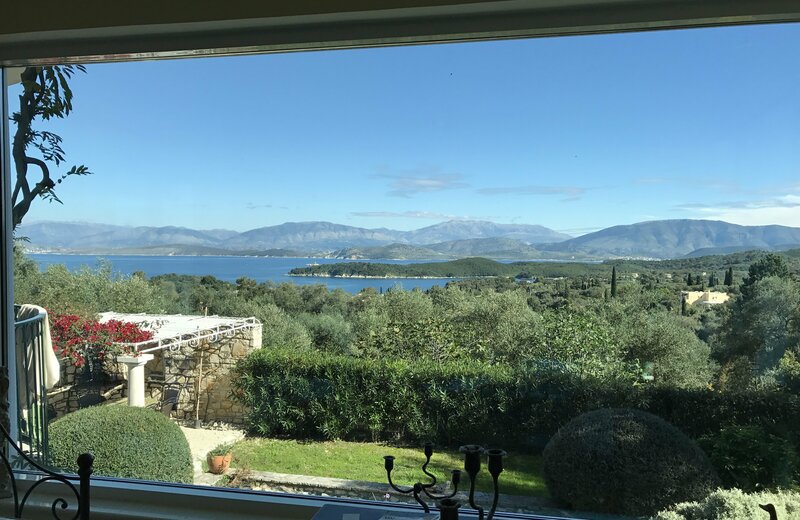 Rubbish removal has become a bit of an issue in recent times and it is fantastic that Corfu is now getting to grips with the problem and we at Villa Loukia are doing our bit to help. All the local bins have been removed from Kassiopi so that Kassiopi is now clean. We have signed up to a recycling collection once per week from the villa and the new blue bin has just been installed for this purpose. This removes all paper, cardboard, tin and hard plastic from the rubbish and also collected seperately, the glass. 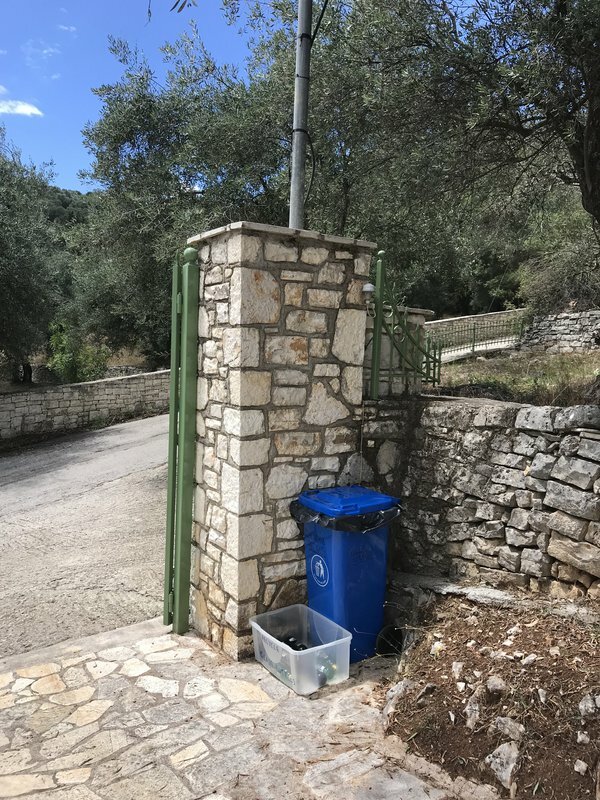 The remaining dirty rubbish is removed by the cleaners every week or can be taken outside of Kassiopi to the green bins. All good news! Perfect kitchen work-space if you like to cook! 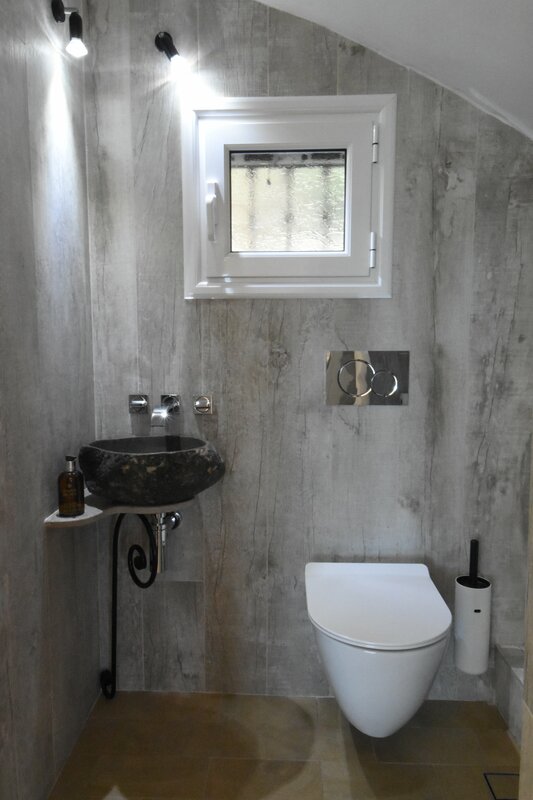 We have spent 5 of the last 6 weeks in Corfu upgrading the whole of the downstairs to match the upstairs (refurbished in 2016 & 2015). At last all is finished, although the process was incredibly hard work! 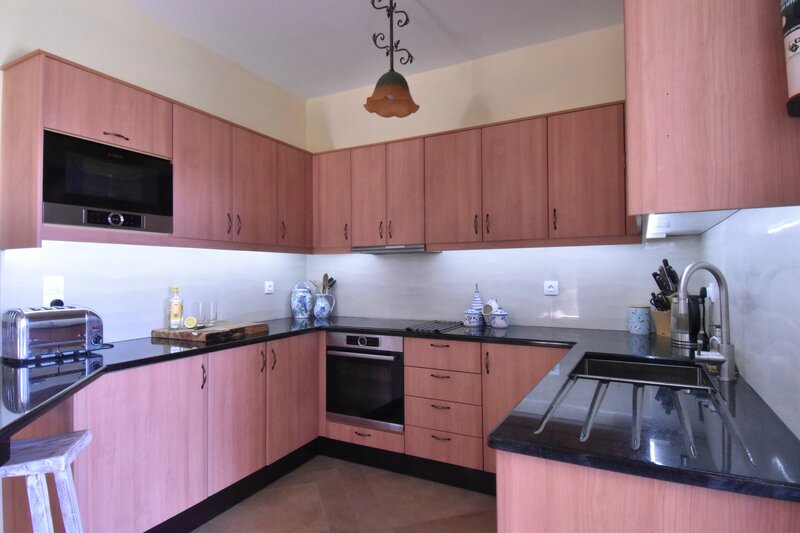 The results are fabulous and Villa Loukia is now completely re-tiled, all bedrooms and bathrooms are new and up-to-date and the kitchen has been re-modeled and now is a wonderful space to cook in, with all new appliances, lots of usable granite worktop and a 4-door American style fridge with filtered water and ice. It really is a joy to work in so if you go on holiday and like to have time to cook - this is where to go! Enjoy! 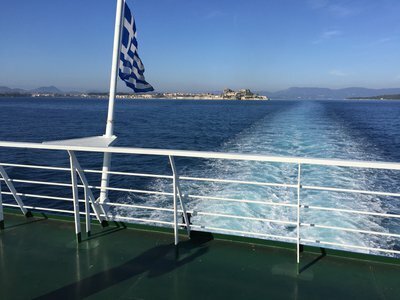 Nick and I have just got back from a fabulous 3 week trip to Corfu and back - the long way down! We rode the Harley 4164 miles through 10 countries: England, France, Germany, Austria, Slovenia, Croatia, Bosnia & Herzegovina, Montenegro, Albania and Greece. We have also twice in the past done the 'short route' via Italy. If anyone ever wants any information or advice on how to plan such an adventure (in a car works too! 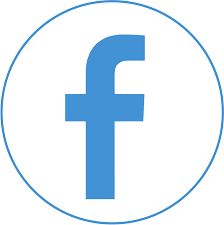 ), then we are happy to share our experience - just message me. 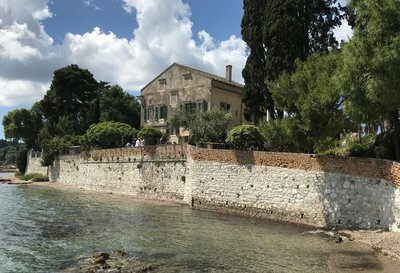 Hope you are all enjoying the 2nd Series of the Durrells on a Sunday evening. 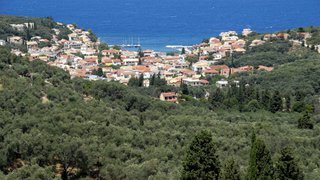 Corfu is being shown in all its beauty. Think it is the finale this weekend. Nick recently caught sight of Series 3 being filmed on a beautiful day in early May. The 'Durrell House' is at Kontokali, just north of Corfu Town. Email from family on arrival - Job Done! Bye for now and all the best from all of us!! May has to be one of the best months on Corfu. It is beautifully warm but not too hot. The grass is green rather than baked brown. 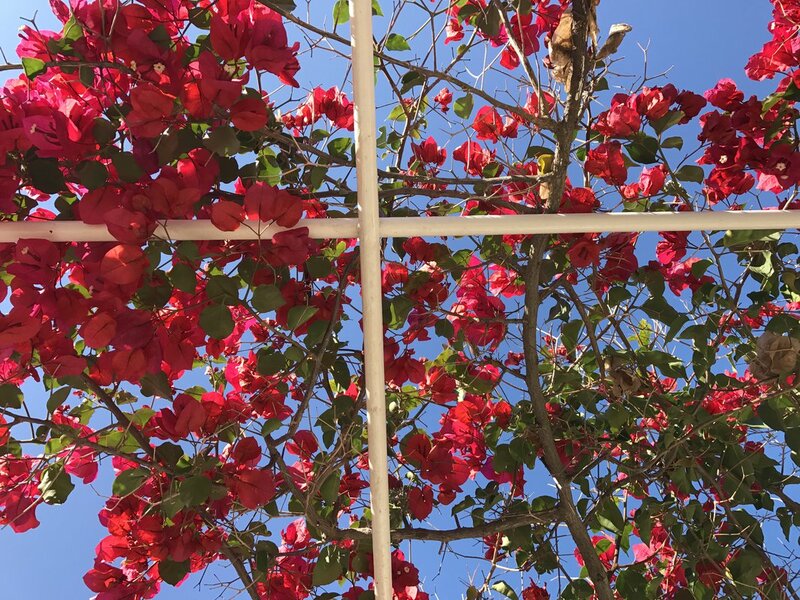 The spring flowers are in flower! There are lambs and goats grazing through the olive groves. 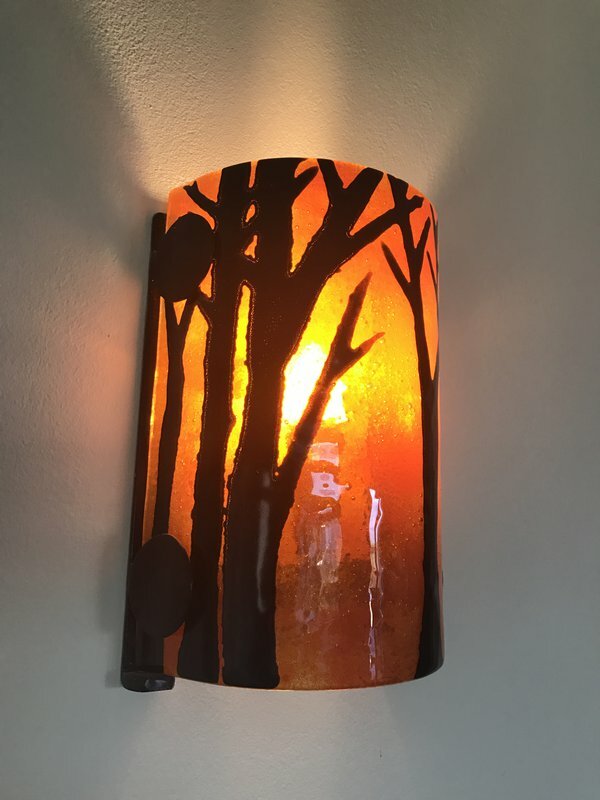 And best of all the fireflies twinkle like fairies in the olive grove after dark. I do have some availability left for May if you want a last minute break. Message me for a good price. 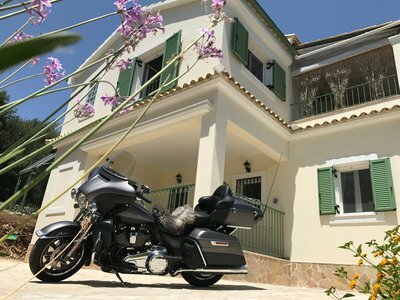 Villa Loukia was originally built in 2007 by the extremely charismatic Andreas Vlachos. 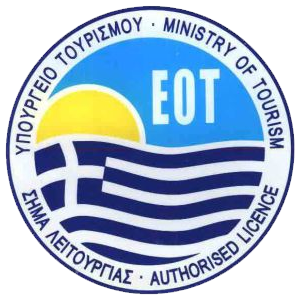 However the upgrading work of 2016 and 2017 has been completed by Chris Giannoukas. 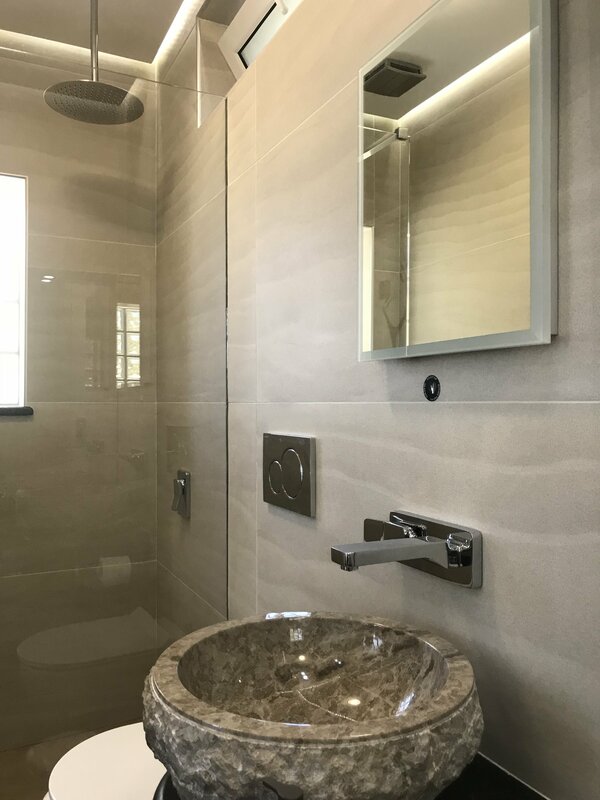 We can not speak more highly of Chris and his team. 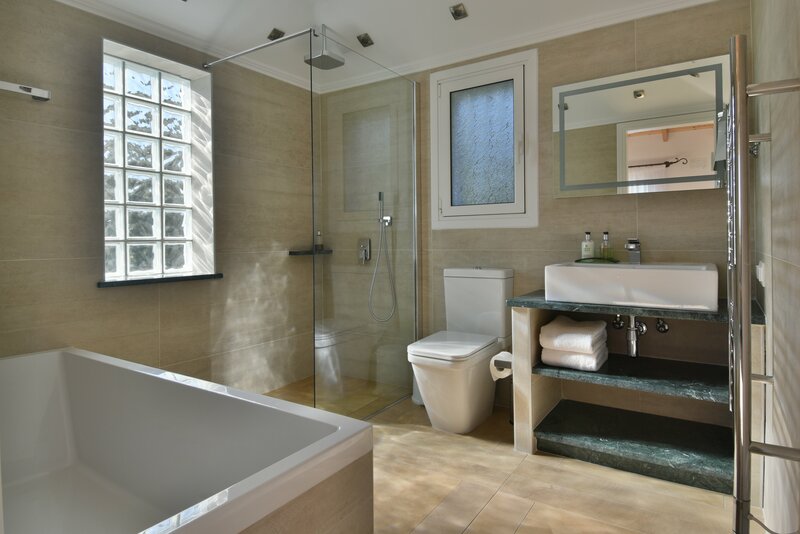 I have never seen men work so hard or listen more carefully to what the client wants. He has to be one of the finest builders on the island. 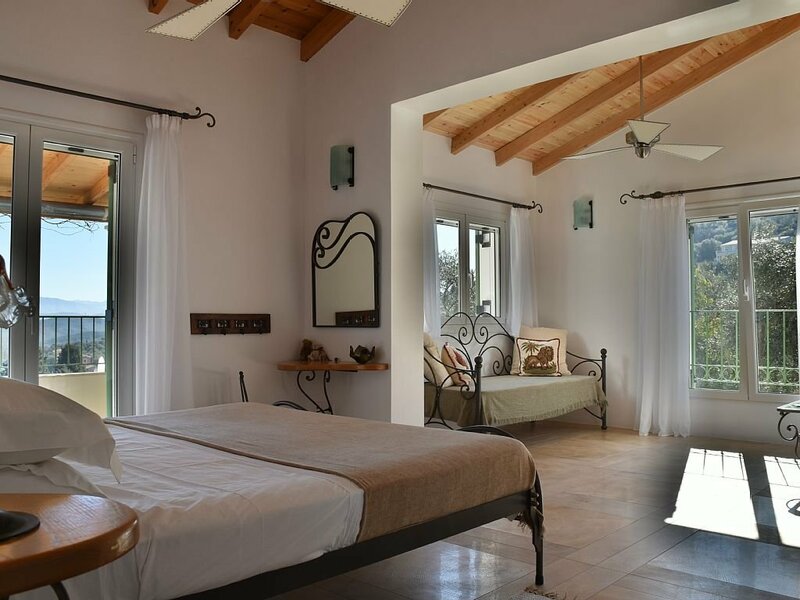 Villa Loukia has been mainly furnished with hand-made items made by local craftsmen. 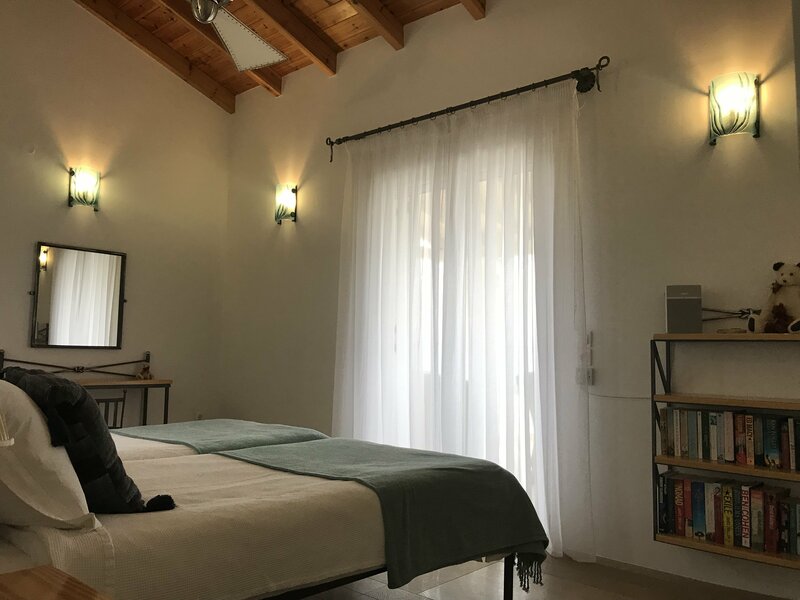 All the iron furniture in the bedrooms and some in the living room was made for us by the wonderful Kostas Mastrantonis. 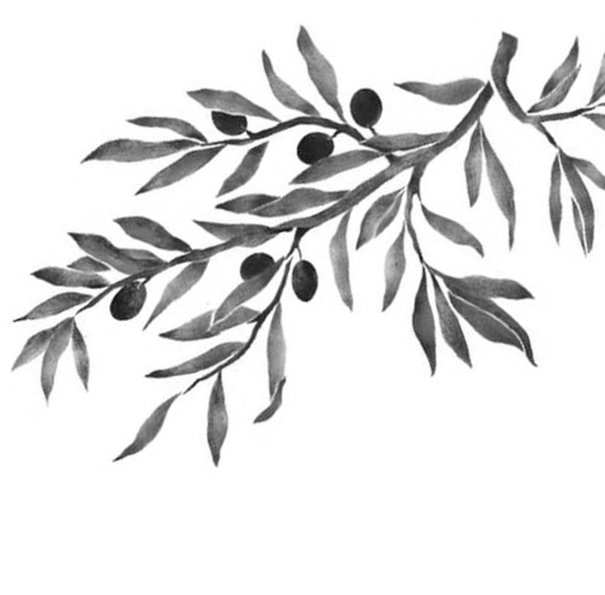 His work receives many compliments. 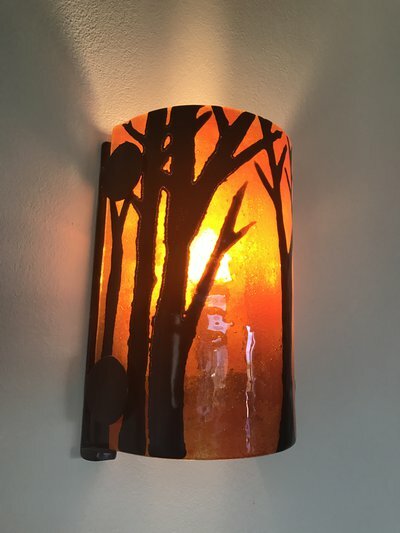 We have also recently discovered Corfu Glass and they have hand crafted all our wall lights - an example is above. 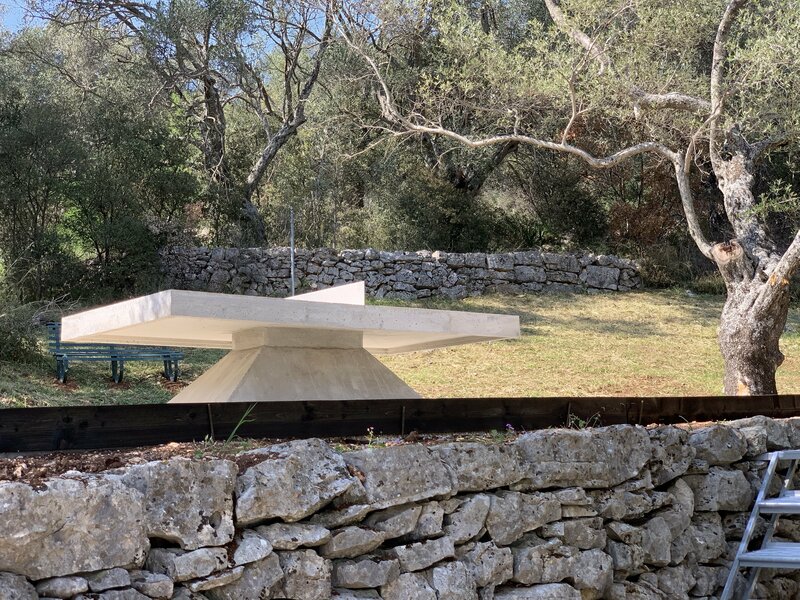 When it comes to the art in Villa Loukia that has come from our village back in England. 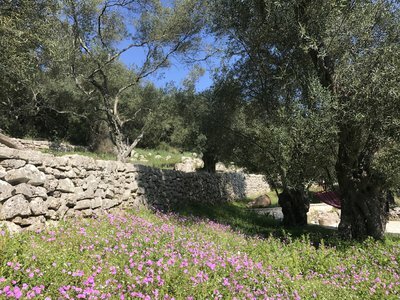 Above the fire place is an Elizabeth Dalziel photo of a corn flower, taken in the olive grove at the villa. A Tina Hunter painting hangs at the bottom of the stairs and the ponies at the top of the stairs were painted for me by our eldest son, Robbie. I hope to add to this collection. I am a cat lover - I have two gorgeous Bengals back in the UK. But cats on Corfu are wild. If they are fed through the summer then they suffer in the winter when all the guests (and food supply) are gone. The cats are also a big nuisance if they are hanging around villas - they bring disease and fleas, sit on all the cushions leaving them dirty, etc. And of course some of our guests might be cat intolerant. It only takes one guest to feed them for the cats to stay close to the villas. So please please don't! We don't generally have a problem at Villa Loukia because we do not encourage them. 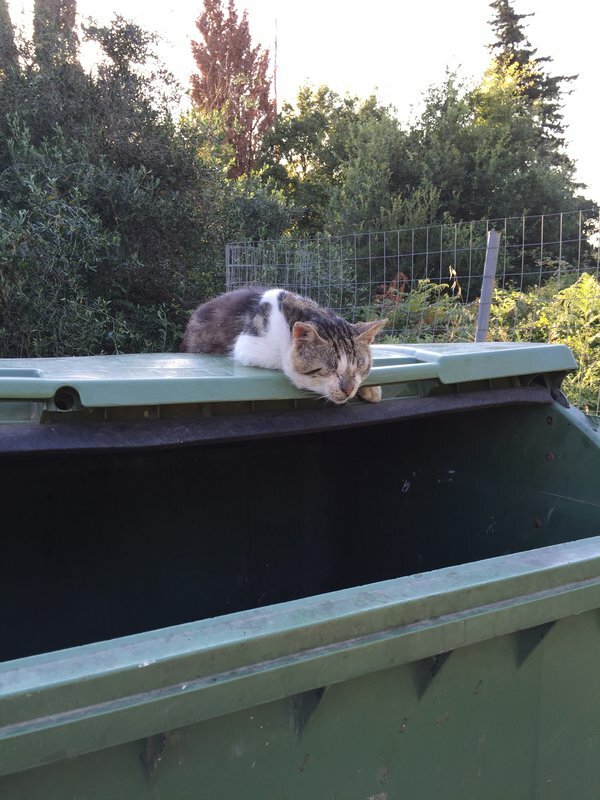 If you want to help the cats on Corfu then please leave them alone and help through one of the many charities such as agni-animal-welfare-fund.co.uk or corfuanimalwelfare.com. Thank-you! 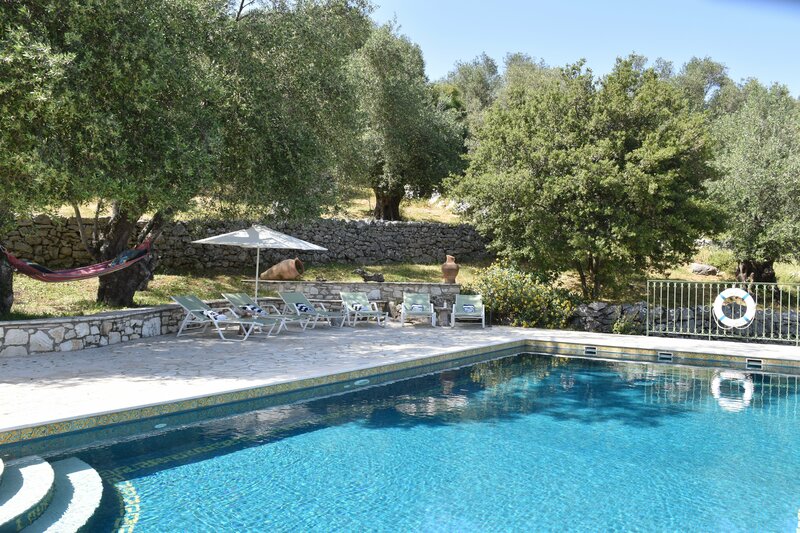 We love it when people choose Villa Loukia to celebrate a big life event. So far we have had guests celebrate a 1st birthday, 18th, 40th, 50th and a 90th (and lots of smaller number in between)! We have also had a 25th wedding anniversary and a 45th. 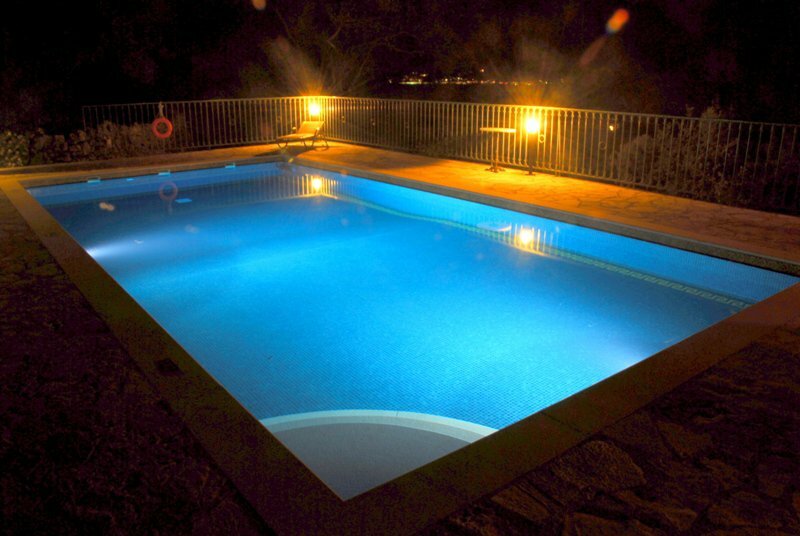 But we still haven't had a honeymoon..... Easter and Christmas have however both been celebrated at Villa Loukia. 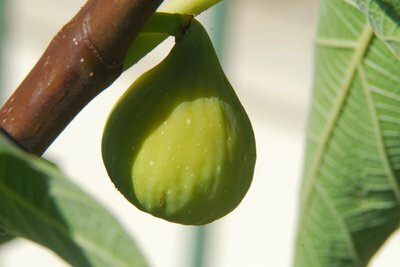 It is also not unusual for 3 generations of one family to choose Loukia. And of course we have had lots of teenagers celebrating GCSE and A level results in August. Do let me know if you are celebrating something important! 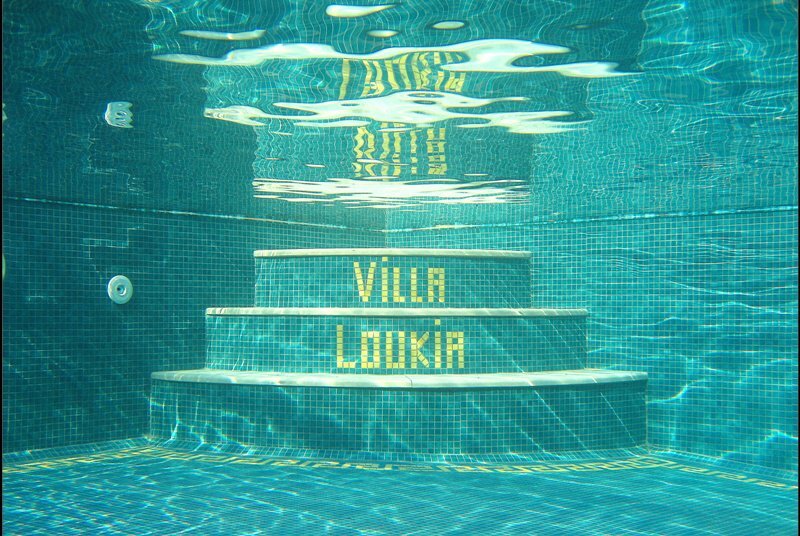 Villa Loukia is about to go into its 10th season. 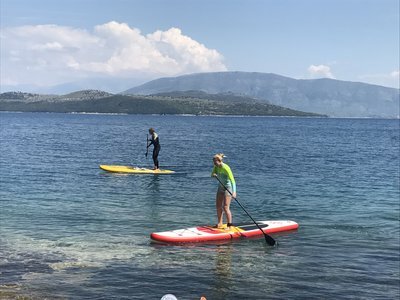 Although most of our guests are from the UK we have also had guests from the USA, Russia, Holland, Germany, Ireland and France. I hope this list continues to grow. All nationalities are very welcome. 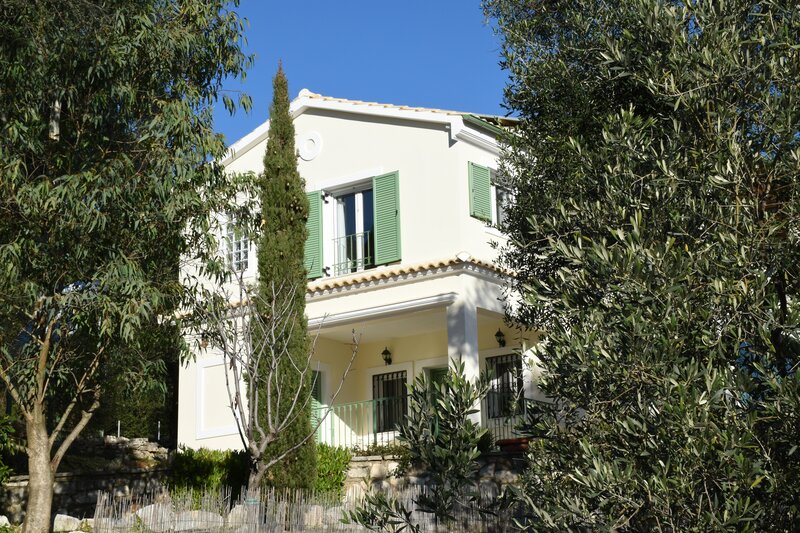 Villa Loukia is a 3 bed house sleeping 6. 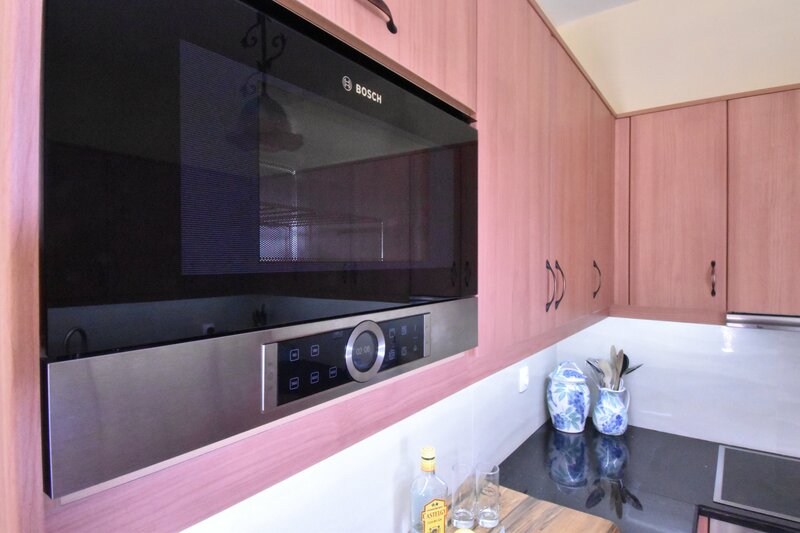 However we can cater for infants, have a spare single bed in the master suite and a double sofa bed in the living room for adults. So the accommodation is flexible!